This 14.4 volt Drill Kit includes; The SA14402 Drill, Flashlight, 2 Batteries, 2 double ended bits, 1-hr charger and case - The Mag Tray on the foot of the frill holds screws, small bits and hardward, etc. for easy access - The die cast clutch cap with 24 clutch positions virtually eliminate screw stripping by easily adjusting for various materials and driving depths - built-in level improves drilling/driving tasks from a slow start to a fast finish - Compact center handle design with power grip texture. This 18 volt Super Combo Kit includes; The SA1802 Cordless Drill with 2 double-ended screwdriver bits, R10633 Trim Saw with carbide tipped blade, RJC181 Reciprocating Saw with 2 blades, VC180WD Wet/Dry Tuff Sucker hand vac, FL1800 Light, 2 Rechargeable Batteries. Kit includes drill, circular saw, edge guide, flashlight, 2 batteries, charger and carrying case. Saw has powerful high output motor. Drill has automatic overload stop to protect motor. Drill has 100% metal planetary gear system. 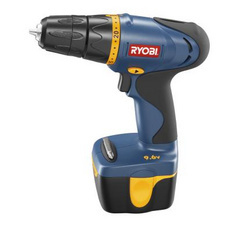 Drill: Die cast 24-position torque adjustment ring controls torque output. 1/2'' heavy duty keyless chuck for quick and easy bit changes. 2-speed transmission for high torque applications. 2-position level with removable top mount for convenience and accuracy. Circular Saw: 5-1/2'' carbide tipped blade for longer blade life. Left side blade provides better cut line visibility. Forward located spindle lock for quick and easy blade changes. Flashlight: Adjustable head for directing light where needed. Screw off lens for quick and easy bulb changes. Includes drill with 2 double-ended screwdriver bits, trim saw with carbide tipped blade and edge guide, flashlight, 2 rechargeable battery packs, 1-hour diagnostic charger, and carrying case. 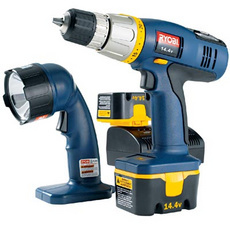 • Kit includes P200 cordless drill, P501 trim saw, P700 flashlight, and carrying case. • Drill has die cast 24-position torque adjustment ring, 1/2" keyless chuck, 2 speed transmission, and 2 position level with removable top mount. 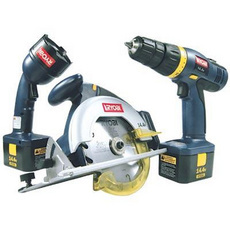 • Circular saw has a 5-1/2" carbide tipped blade and forward located spindle lock. • Flashlight features and adjustable head and screw off lens for easy bulb changes. 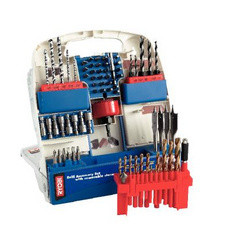 • Kit also includes 2 double-ended screwdriver bits, carbide tipped blade and edge guide, 2 rechargeable battery packs, and 1-hour diagnostic charger. 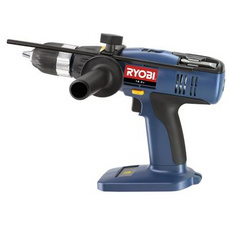 18V drill features 3-speed transmission for versatility in drilling and driving. Die cast gearbox housing for rugged dependability and die cast torque adjustment ring with 24 positions to control torque output and hammer mode. 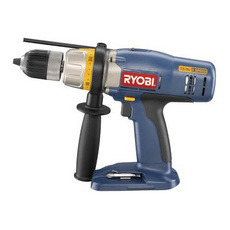 Heavy-duty keyless chuck for quick easy bit changes. 360 degree Auxiliary handle for convenient location and use. Overmold grip handle for added comfort. CHARGER AND BATTERY SOLD SEPARATELY. 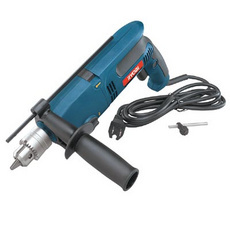 Dual action hammer or rotary to handle various applications. Powerful 5.5 amp motor with metal gears and ball bearing construction. Heavy-duty 1/2" chuck to handle various demanding applications. Large top slide button to choose hammer or rotary action. Easily accessible side mounted dial for quick speed changes. Lock on trigger button for continuous use. Ergonomically-designed handle with overmold for added user comfort. Adjustable auxiliary handle with depth guide for greater accuracy. 10' cord. includes adjustable auxiliary handle with depth rod, chuck key and carrying case. A 24 position clutch controls torque output. 2 speed range gear box for high torque applications. Auxiliary handle with metal depth stop rod. Has an overmold grip handle for added comfort. A Mag Tray holds screws, small bits and hardware, etc. on foot of drill for easy access. 1/2'' heavy duty keyless chuch for quick and easy bit changes. Removable 2 position level for convenience and accuracy. BATTERY AND CHARGER SOLD SEPARATELY. • A 24 position clutch controls torque output. Keyless chuck enables quick and easy bit changes. Has a 24 position torque adjustment ring, which virtually eliminates screw stripping by adjusting for various materials and driving depths. Has a variable speed switch that controls drilling/driving tasks from a slow start to a fast finish. Forward/Reverse selector conveniently located for inserting and removal tasks. Compact center handle designs with power grip overmold that maximizes user comfort. On-board magnetic storage for quick access to your driving bit. Built-in bubble level improves drilling/driving accuracy by identifying the proper 90 degree angle. Keyless chuck enables quick and easy bit changes. 24 position torque adjustment ring virtually eliminates screw stripping by adjusting for various materials and driving depths. Dual speed switch controls drilling/driving tasks from a slow start to a fast finish. Forward/Reverse Selector conveniently located for inserting and removal tasks. Compact center handle design with power grip overmold which maximizes user comfort. Has On-board magnetic storage for quick access to your driving bit. Built-in bubble level which improves drilling/driving accuracy by identifying the proper 90 degree angle. The 90 piece set includes a wide assortment of titanium coated twist drill, brad point, spade and masonry bits, nutsetters and hole saw. Lock installation kit also included. Handy carrying case features Grab-N-Go removable bit holder for added convenience. Case can stand free or can be wall mounted.